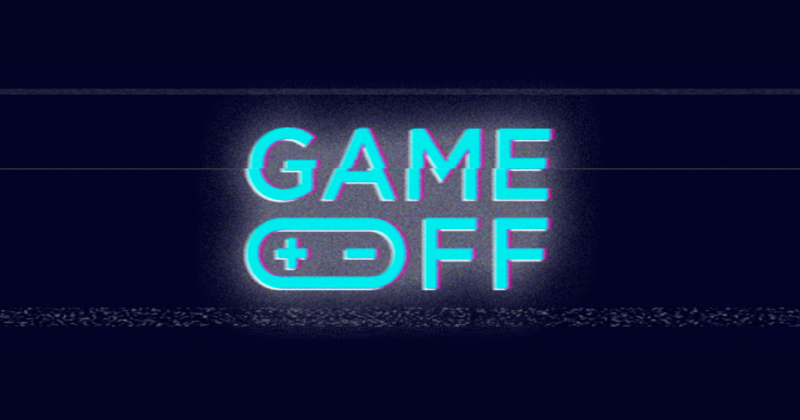 GitHub has announced the 5th edition of its Game Off game jam, hosted on itch.io from November 1st to December 1st 2017. The main feature of Game Off is its focus on free and open source tools for game development, and this is obviously something that we consider highly in the Godot Engine community, as a fully libre 2D and 3D game engine. We encourage all existing and aspiring game developers to participate in this jam using our current stable release Godot 2.1.4. For newcomers, this blog post lists some of the great learning resources created by the community to help you get started with Godot. This is also a great opportunity to discover new FOSS tools such as Blender, Krita, Inkscape, GIMP, Audacity, LMMS... or any of the hundreds of libre tools listed on awesome-gamedev. Feel free to experiment with other games engines or frameworks too, such as Phaser, LibGDX or LÖVE, but of course we are hoping to see a high percentage of the Game Off entries made with Godot! When you share screenshots or videos of your game on social media, please use the #GitHubGameOff hashtag as well as #GodotEngine, to show the community what great projects are being worked on! If you're new to Godot, or started only recently, you might be looking for good resources to learn how to make games with our engine. The following is a short list of recommended resources, but feel free to use different ones from the wealth of video tutorials and demos that have been produced by the Godot community over the years. The main resource is Godot's official documentation. It contains many tutorials about the different features of the engine, including a step by step tutorial which should give you a good introduction to the core concepts of the engine such as nodes, scenes, instancing and scripting. The official documentation also includes the Class Reference, where the API of the various nodes is documented. It's also included directly in the editor when you press the "Classes" and "Search Help" buttons in the script editor. Angega Studio's Make a Space Shooter Game is another series that will learn you through the conception of a 2D space shooter from start to finish, in about 2 hours of video content. GDquest's 30 Tutorials in 30 Days series offers short and well-edited tutorials that will introduce you to a given feature. It's perfect for users with some development experience either from Godot or from another engine, and that want to quickly learn how to do something specific. GameFromScratch's Godot tutorial series offers both video and text versions of great tutorials covering many aspects of the engine. The earlier ones were for Godot 1.x, but the concept they cover are still the same in today's 2.1.x, it's mostly the UI that was enhanced a bit. There are many official demos included in this archive, such as a simple Pong game, 2D and 3D platformers, a space shooter, and many small demos meant to showcase how to use a given feature, such as particles, screen space shaders, lights, navigation meshes, etc. Next to those, there are many free and open source community projects that you can learn from, such as those made for our previous Godot community game jams (first, second and third). You can use GitHub's Explore feature to find repositories tagged with Godot, or GDScript, or search for trending GDScript projects. And of course you are not alone to learn how to use Godot! We have many community platforms where you can discuss with other users and learn from them. You can pick the one(s) you like best and should always find nice users to interact with. Don't miss the Godot Questions & Answers, which likely already has answers for some of the questions you might be asking yourselves. If not, don't hesitate to ask your question, being both concise and specific, and you should quickly get some help. Finally, if you think that you hit a bug in the engine, please report it on GitHub. Make sure to follow the proposed issue template (filled in automatically) to help us help you. Can I use Godot 3.0? You might have seen videos about Godot 3.0's upcoming features, and be eager to test it, but it is not yet released officially. We will soon (a couple days at most) release a development snapshot, Godot 3.0 alpha 2, which you can use if you want, but you should be ready to face bugs and difficulties exporting games (for example exporting games using C# is not possible at this time, and should be fixed in the coming weeks). If you feel adventurous, don't hesitate and have fun with the development snapshot, but check beforehand that you'll be able to distribute your game in a playable manner for the jam. If you are new to Godot, we really recommend to stick to the stable version for which you will find a lot more learning resources. Have fun, and make us proud of our engine!